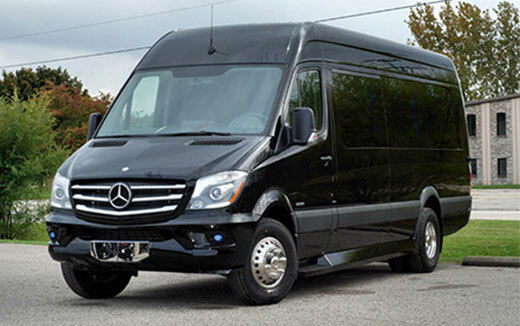 If you want to shuttle around 10 adult passengers in ultimate comfort and safety, the Mercedes-Benz Sprinter Passenger Coach is the unparalleled best choice. 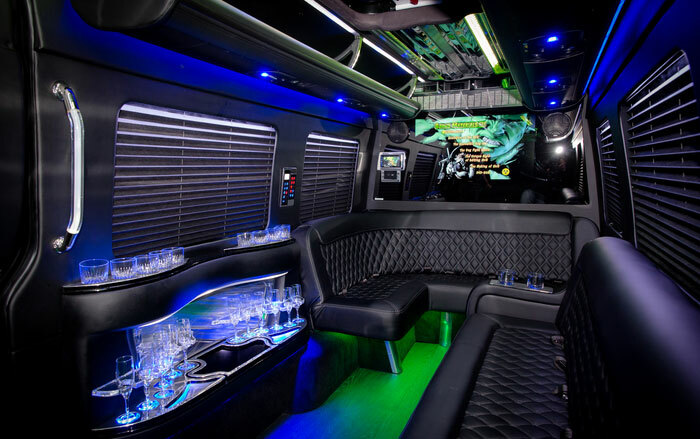 It features double-stitched leather seating, a USB and 12 volt port in each chair and a full-sized flat screen TV. 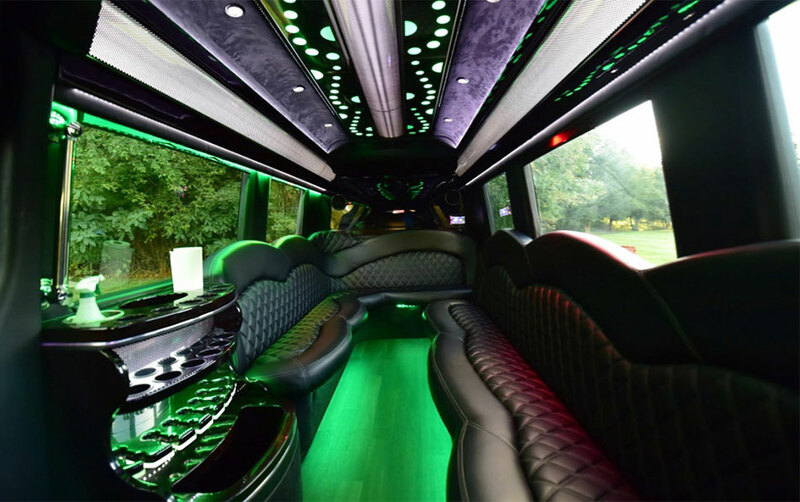 If you’re looking to set a mood during the drive, the Passenger Coach comes equipped with custom luggage racks with with blue accents light, multicolored bar lighting, and mood lighting. 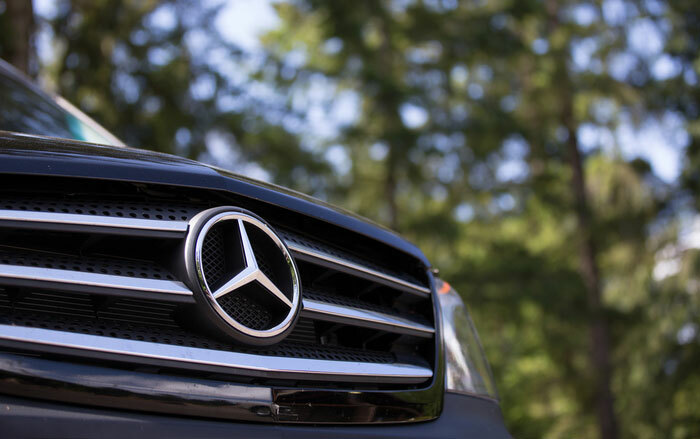 For all your beverage needs, the Mercedes-Benz Sprinter Passenger Coach also has a bottle chiller and fancy drink glasses.